Goodness me, we made the news again! 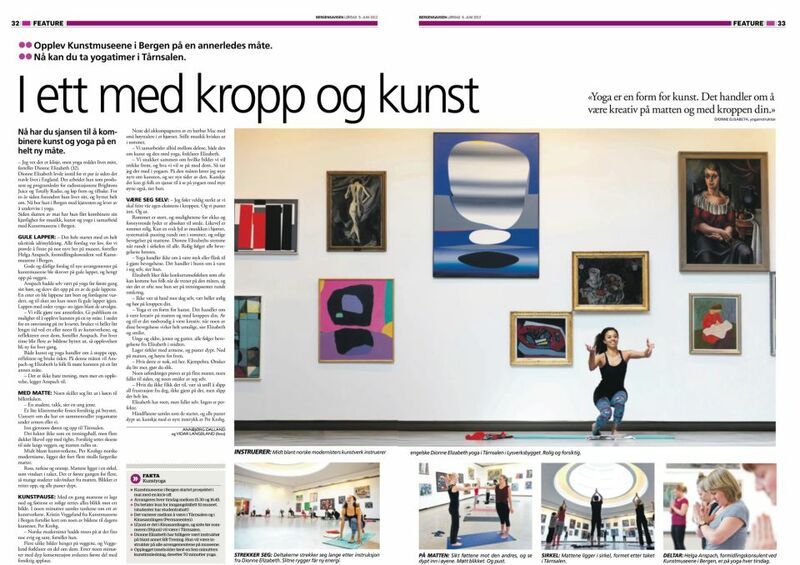 Many, many thanks to Helga Anspach, Bergen Kunstmuseum, BA and all of the wonderful folk who participate in these events to make them so special. High quality image via Bergen Kunstmuseum with gratitude. This entry was posted in art + yoga, news and tagged art+yoga, BA, Bergen, Norway, yoga. Bookmark the permalink.